﻿ Company Profile & History | Company | Sakaiya Co., Ltd. Automotive parts makers, medical equipment makers, communication equipment makers, various trading companies, etc. 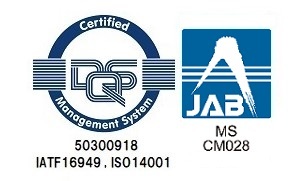 Changed Company name to Sakaiya Meiban Co., Ltd. Founded Sakaiya Company of America, Ltd. In U.S.A.
Changed Company name to Sakaiya Co., Ltd.
"new technology development power," "strong site power," "global network," and "individual and group power."